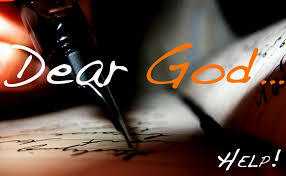 Luke 15:1 ¶ Then drew near unto him all the publicans and sinners for to hear him. 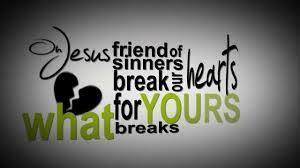 Jesus loves you! This is the message, this is the truth. 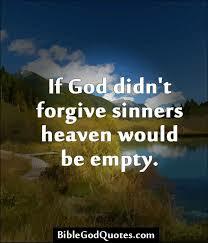 The only thing you really need to do to go to heaven, is recognize you are a sinner, and ask forgiveness. The only people that Jesus has a problem with, are those who think they need no help. Pride in God’s sight, is not a puffed out chest, and haughty attitude, it is simply thinking that you can live life without Him, doing your own thing, and ignoring Him, and His Word. Very somber, serious words, to what turned out to be a very serious and brutal man. I watched my words register on him, and he was ticked off at me, and the guards came, and the visit was ended. After I got out of the facility, I immediately called the addiction counselor that had asked me to visit this man, to discover that everyone else in their community was afraid to visit him, because he had horribly cut up a teenage girl with a knife, and the girl had somehow lived, and was presently in intensive care, fighting for her life. The counselor asked me if I would be willing to visit this man again, the following week. I told them I would pray about it. Next day, someone shoved a newspaper in my face, with this man’s picture on the front page, the Media glorifying the horror of what he had done, and the life and death drama of the young girls life hanging in the balance in intensive care. At first I was frustrated and angry, feeling like I had been shoved into a brutal situation, that I felt really unqualified for, then I began to pray, and realized God had not only allowed it, but orchestrated it, and was asking me to go visit this man again, the following week. I called the prison chaplain that oversaw my security clearances, and told him what had transpired, and asked him to try and keep this man alive until the following week, and to get him a Bible in his language. We organized a 24 hour prayer chain for the wounded girl, and for him, that he not go to hell. God did a miracle! The girl was miraculously healed, and some top plastic surgeons donated their time, and when the girl eventually came out of the hospital, some time later, you would never know how horribly she had been disfigured. When I went back the following week, there was a new man on the other side of the glass! He had given his life to Jesus, and was proudly holding up the new Bible the chaplain had given him. Turns out this man had been raised as a first nations hunter, and all he knew was killing and butchering animals. He had broken into the families house where the girl lived thinking there was no one home, and when he found the girl there, he did what he did with a knife, quickly. 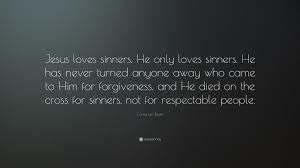 Makes my stomach turn to think about it, but God forgave Him! As the court system performed its inexorable course of justice over the next 18 months, the man was sentenced to 12 years, with no parole. I visited him for the time he was on trial, and watched him receive ministry and grow weekly in the grace of God, as the prison chaplain integrated him into several small group Bible studies. 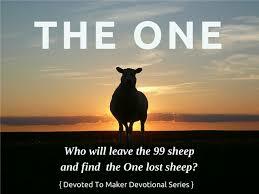 Amazing grace, Jesus left the 99 and found the one lost sheep. The one all of us had written off, the one none of us ‘ministers’ wanted anything to do with. Love never fails, and mercy triumphs over judgment. This is the love of God, finding the sinner and the victim both at the foot of the cross, receiving forgiveness or healing, as Jesus, King of Love makes wrongs, right, by His mercy, grace, love and power. This is the kingdom of God in action, this is love!